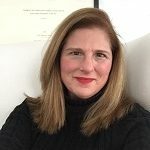 "Southern comfort meets New England proper" Debra Worthington, a well-seasoned professional Interior Designer, merges her southern upbringing and values with her New England traditions to assess your lifestyle. For your home or commercial space we design spaces with timeless beauty. Worthington Interior Design is located in Newburyport. Whether you're a traditionalist or modernist; we work in all genres- " antiques can always be infused with a bit of of playful urban-mix." What are some current upgrades where you can make your money back at the other end? When you are thinking of renovating your loo first think about what your needs maybe. Need to save space or create better function in the power room or bathroom? Are we upgrading to accommodate more people? Do we need to replace the tub with a walk in shower? Do we need a no- threshold to the shower? Is there a window in the bathroom and where is it and should it go or remain? Is the water closet ( Loo/Toilet) old and need to be change? Design a separate room within the bathroom? 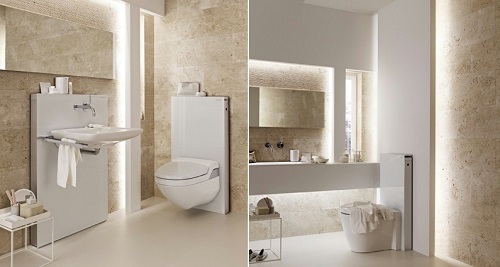 What are the advantages of wall hung with Geberit housing or floor mounted? Storage needs- drawer and cabinet space, dual sinks? Can we donate my old vanity and fixtures to be recycled? Flooring material upgrade or change? Do we use the same plumbing location or not? Shall we paint or use a hip new wallcovering- will wallcovering work in this space? How long are we going to live here, how much do we upgrade? Will my selections be eligible for a rebate and are they energy conservative? Where to start can be overwhelming unless you have a good Interior Designer to work with to keep your renovation within your budget while developing your vision to include your wish list. Don’t worry if you do not know what you like; it’s better to know what you don’t like as far I’m concerned. Make no mistake any renovation you embark upon with limited knowledge will come with many surprises! Hiring Worthington Interior Design early on in the process will guarantee you have a great team to help you navigate the contractor’s role and requirements. No need for you to settle on a new bathroom you so deserve. Call Worthington Interior Design for expert guidance renovating your loo, 978-255-3001. Budget. First things first, you need to set up a budget for the upcoming move. Without a definite budget plan, you may have a hard time going through the entire moving process. A few months before moving into your new house, be sure to set aside enough money for the relocation itself. The earlier you dedicate money for your move, the better. Moving inventory. Don’t wait for the mover to provide you with an inventory of all your belongings. It’s important you have an inventory of your own to make sure you know what you’re moving. That way, you’ll be able to plan your packing efficiently. Unused and unnecessary items. After the inventory, it’s about time to walk through your house and identify the items which you don’t use or need anymore. Remember, moving is the best time to sort and purge. 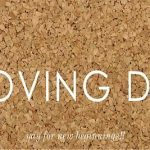 Deciding on items you are keeping, disposing and possibly donating will enable you to save on your purchase of moving boxes. Be sure to take photos of items you are donating for tax purposes. Size of your new house. It’s essential to check and measure the size of your new house so you’ll have an idea what items you should bring to your new place. Before your final move-in date, be sure you’ve visited your new home and have the area measured to figure out what furniture and other home items you should include in the transit. Moving Quotes. Be sure these moving quotes are written and binding. Not only that but you should make sure the price offered is within your budget; make sure you give yourself ample time to gather and analyze your quotes. The key here is to get your estimates early enough before the move. Moving company pricing/quotes can be affected at different times of the year: around school stops and starts, moving at the end of the month, just before or after the summer and around big holidays. So be smart and book early! Moving insurance. While you’re making some arrangements with your prospective moving company, check whether they are bonded and have adequate insurance for your move and belongings protection. Thus, always look for a licensed and insured mover for the safety of all your belongings. Utilities. Arrange to have your local services turned on at your new house: water, electricity and internet services. It’s better to have these utilities and services live at your new house just before moving day to avoid extra hassle with regard to your family. Packing supplies. Be sure to have all the necessary packing supplies beforehand so your packing task is efficient. Fragile furniture and kitchen wares, may call for bubble wrap and specialty containers. Using colored markers with smart labels for your moving boxes will allow the moving foreman to create teams for the movers to deliver the boxes and furniture to the proper floor or room correctly. Proper labeling will make for move time efficiency with less errors of moving boxes more than once. Secret Best Moving Tip. Use one (1) box and label it OPEN FIRST BOX! Here’s what to pack in the OFB: chargers for all your phones etc., coffee maker or teapot, coffee, filters, teabags, coffee mugs or tea cups, knife, fork and spoon set for each family member, Paper plates, toilet paper, paper napkins, roll of paper towels, Kleenex, bottle opener, hand towels, bath towel for each family member, toothpaste, dog or cat bowl, animal food, leashes and bags for walking dog, and plastic trash bags. You will be so happy when you arrive at your new house and you order a pizza! Change of address. Be sure to stop mail at your current address. Visit your local post office and inform them about the move. In addition, fill out additional change-of-address forms for your subscriptions etc.to be forwarded to your new address. 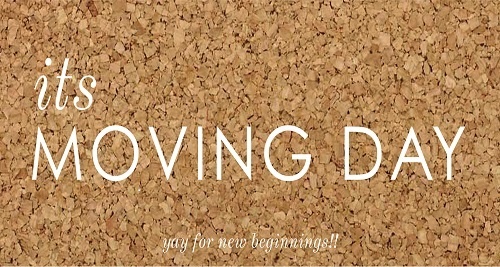 Moving doesn’t have to be stressful! If you’re too busy to make the necessary preparations in advance, hire competent movers to minimize the burden of moving. Entrusting your move to the professionals knowing they’ll handle your needs properly – from packing to safely transporting to your new house. 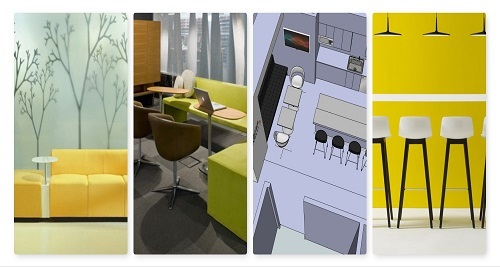 Now seems like a good time to introduce you to our other design service Commercial Interior Design what and how. Commercial Interior Design is comprised of office, retail, and hospitality/restaurant type of projects. When commercial clients are outgrowing their existing space, need test-fits of spaces for lease, or just a new venture or business that may require commercial style space; hiring a qualified Interior Designer can make your project a smooth success! For instance, when we perform interviews to gather programming to analyze your needs and plan for future growth—this stretches your funds and insures value earned. Designing for Retail or Hospitality/Restaurant clients is best served when their brand is threaded throughout the design, selected space and in all their marketing materials and signage. Worthington Interior Design is very adept at analysis merged with creativity to bring a winning commercial interior design space to life. It was once said “Trendy is close to Tacky” so it’s enormously important for us to listen to our client’s needs and deliver stellar design that is both highly functional and unique. Timeless design for commercial interior design spaces is curated and studied. Each client is different each company or hotel is different offering their clientele a unique experience to work with them. So its incumbent upon interior designers like us at Worthington Interior Design to stay educated and informed to meet each type of commercial client we encounter. After Programming is gathered, Space Planning is taking the client’s requirements and developing the space plan to mirror the program. Once the Space Plan is approved we move into the next phase of work called Design Development. Design Development is where we develop the 3D aspects of the space plan. We address the walls, ceilings, floors and lighting. Each of these components is presented with materials or photos or samples. The client works closely with us as we begin to bring their company to fruition. 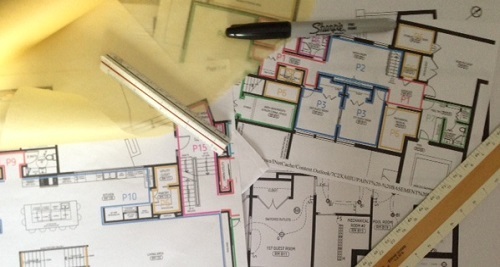 Construction Documents are drawn for actual construction. Any consultants required are engaged. These may encompass acoustical, structural engineering, or lighting consultants. Each consultant submitting design and construction drawings is included in the overall clients complete set of construction documents (CDs). The next step is to bid out the plans, select a General Contractor and manage the Construction Administration. Worthington Interior Design is well versed in all areas of Commercial Interior Design. 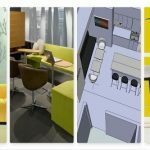 So if you are looking to be on the cutting edge with your unique business, commercial interior designers are well worth having on your team! 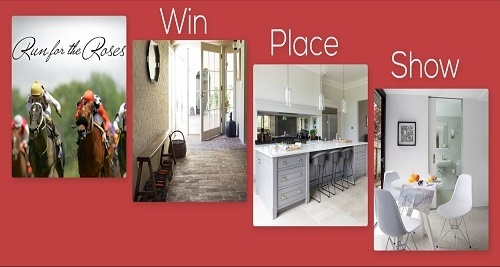 Work With an Interior Design Pro..11 good reasons why! When people consider hiring an interior design professional for the first time, they often don’t know what to expect. Television can make it seem as though designers are magicians. This can create the illusion that designing, purchasing for and executing a vision can happen in a day; that concepts cost next to nothing to achieve; or that these professionals do nothing but shop, cause drama and have the time of their lives spending clients’ money. That’s good entertainment, but it’s not reality. Here are some of the top reasons for entrusting your project, whether it’s big or small, to a professional designer. Designers keep it real. It’s important to have big design dreams, but it’s also important to have a good idea of your design limitations. Television shows can make it seem as though anything is possible, no matter your space or your budget. In reality, every project has limitations, whether from the physical structure (like immovable walls and support columns) or other factors.Design professionals can help you determine which of your goals are realistic for your project and warn you of potential issues before any work or buying begins. This ensures that your plans are achievablewithin the budget you’ve set. Designers see potential. When it comes to your space, design professionals see not only the limits, but also the potential. It’s easy to get used to a furniture plan or functional layout in your space, or to think that there are no other options. But trained eyes can help you see possibilities you might not have considered. Whether you’re planning a major renovation or just refreshing your style, a design professional can help you get the best from your home. Designers use a time-tested process. Knowing your project’s limits and potential is just the beginning of a process that design professionals use to make sure a project stays on track from start to finish.Each designer may have a unique way of doing things, but ultimately an experienced professional will have a tried-and-true method that will help guide the project and make sure nothing gets missed. Designers can save you money. Yes, bringing in a pro to help manage your project can even save you money. There are financial considerations that you might not see upfront, including the considerable potential cost of mistakes.That said, while professional design can prevent expensive errors, it is still a luxury. But it’s one that can be considered an investment in the enjoyment of your home. Designers speak many languages. Some design professionals may actually speak many foreign languages, but all speak languages you might not be aware of, such as “contractor,” “architect” and “permit approval officer.” Communication is key in any design project, and mistakes and hiccups usually occur when a seemingly simple conversation or request is misinterpreted by one or both sides. An experienced professional will know how to properly communicate your design vision to the relevant tradespeople and suppliers, with detailed drawings, documentation and follow-ups to make sure your design dreams don’t get lost in translation. Designers bring the best tools. Design professionals use a range of software programs that produce accurate drawings and 3D visualizations of a space. Whether you’re moving walls or ordering furniture, you might find it tough to picture in your mind exactly how things will fit and look. Proper drawings will ensure that the pieces come together the right way, and in good proportions, so you don’t have to return items and start again. Professionals can also give you access to a wide range of samples and materials that have been preselected from their favorite providers. A trusted designer with knowledge and taste will greatly simplify the process of browsing materials and finishes by showing you the best of the best, rather than an overwhelming array of options. Designers save you time. Designing, building and furnishing a home is a bit like planning a wedding: You don’t realize the incredible number of decisions that need to be made until the process is already underway and the to-do lists start to pile up. Designers are also trained to anticipate obstacles, which pop up in virtually every project. A professional with years of practice overseeing complex projects will be able to spot the ways things could go off course and then plan ahead to avoid issues. Coordinating the ordering and delivery of materials, the different tradespeople and installers, and your personal schedule can be hectic, but it’s important to make sure these moving parts coordinate smoothly, or the project can see serious delays. Designers know how to edit. While it’s important to be able to think of creative features to add to the space, it’s equally important to know what to leave out. An interior design professional can guide you through the intricate process of knowing when to stop adding new elements — and how to get rid of old clutter. Ultimately, it is good editing that gives a home a collected sensibility while remaining personal, unique and true to the people who live there. Designers offer a range of services. Hiring a designer isn’t just like handing over the keys to your home and letting someone take over. While some designers specialize in full-service offerings, others will tackle smaller one-off jobs like helping you pick paint colors, find the right furniture, select materials or simply plan a space. Of course, with different offerings comes different fee structures, which is something you’ll have to discuss with your design professional. Designers find the wow factor. Finally, this brings us to the reason people often begin a design project in the first place: the wow factor. Clients may find it hard to take risks, and that makes sense. Nobody wants to gamble with hard-earned money and lose. However, it’s important to take at least some design risks to find the dazzling, show-stopping moment that makes a project feel as though it was worth undertaking in the first place. Call or Email Worthington Interior Design today. Explore easy ways to design outside living on your patio, porch or deck in Newburyport with amazing options for furniture, lighting and serve-ware! If you have enough space for a great sectional sporting an indoor/outdoor easy-to-clean material look to Restoration Hardware’s Classic Kingston collection. 14 different fabrics, 2 seat depths to fit compact residential footprints are great. Want to get rid of your old picnic table? Wait a minute, you can paint it and apply a cool French stripe runner to dress up your 1950’s style picnic table. If you can’t bring your precious pillows outside on your patio, porch or deck have Newburyport’s 2017 Best Interior Designer, Worthington Interior Design work with you to select hip Perennials fabrics to create what looks like it belongs on the inside; but can live on the outside! Newburyport has such a beautiful coastal setting to decorate your table with an obvious ‘sea-worthy’ theme, and there are so many great melamine dishes in marine, coral and nautical patterns it’s hard to choose. Think about introducing a different design approach of geometrics. 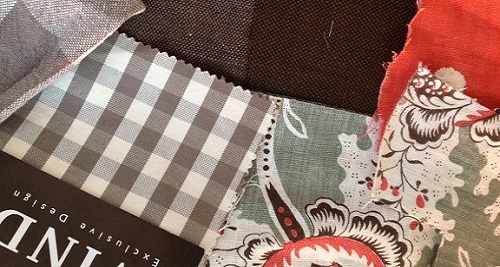 Mixing stripes, chevrons, windowpane, hounds tooth or dot patterns to create unique outside space. 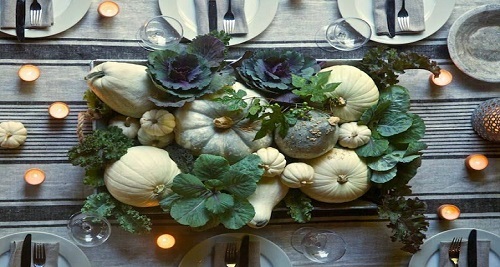 All related without committing to a particular design so you can add more accessories year after year. Anchor your outside space with a chevron rug in polypropylene, easy AND breezy! Consider arranging your outside patio, porch or deck space whether small or large, so you have a view of your plantings and landscaping. Decorate the side of your house with all-weather artwork to resemble a room without doors and walls. Move your games and puzzles outside with comfy unique oversize to the trade cushions or poufs that Worthington Interior Design would be happy to acquire for you. Lighting with huge glass hurricanes and add a hanging a flea market chandelier from a tree with nautical rope you can find in Newburyport area marine supply stores creating a glow on your patio or deck. Just be sure candle- safety is in place. See our selection of French style Spring-Summer candles from Point a La Ligne/Bougies a la Francaise. Also consider lighting with battery operated candles in all sizes to offer a worry-free outside! And the new LED colored sculpted sphere or globe lights with remotes will instantly set your mood to chill! Summer is all about outside, entertaining and fun. Fun can either be at the local Newbury Plum Island beaches or just a set-up game of croquet, badminton, or French boules in your own backyard! 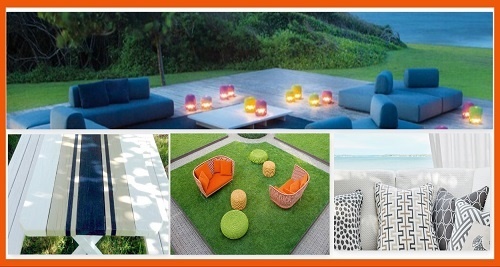 Define your own outside albeit poolside, patio, deck or porch style with bright colors or classic neutrals! 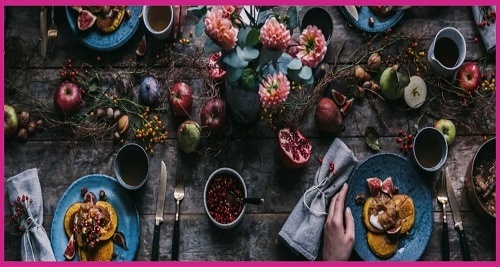 Try mixing the unexpected- turquoise with navy, red with pinks, oranges with purples and highlight with flowers in a single color for an understated elegance. With all the many ways to design living outside in New England’s beautiful coastal city of Newburyport, let us help you make the most of your patio, porch or deck decor. 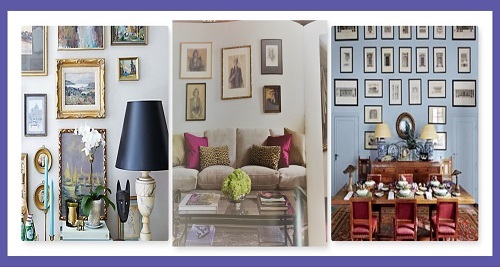 3 Valuable tips for arranging artwork on your walls and throughout your home. Often I get asked to help my clients hang their art or arrange their collectables in their home. First tip is to gather all the art into 1 room and begin to organize by size, subject or genre. This can take some time and is most important before anyone swings a hammer to nail! After you have made these select piles and you may mix all three ways just so you have separation. If you have sculpture pieces depending on the size or number you may need to make a special grouping for oversize or one-of-a-kinds. Now looking at your piles, the 2nd tip for arranging artwork is to assign each piece to either a room or space that identifies with the furnishings or purpose of that room. For instance, if you have a room with a black and white color scheme you may want to use only black and white style art in that room. Or you may have a room with not a lot of color so choosing a grouping with lots of fun colors may really work nicely if the frames or pieces are not too heavy. If a room with neutral colors can be thrown off balance if the colors are too strong and the frames too heavy to hold the room or space together. In this case I would opt for colors that may be muted or pastel to go with the neutral furnishings in that room. Tip 3 – Now that you have placed a grouping in the room or space : say you have 8 pieces of all different styles but the same subject as we mentioned above, you take the largest piece and lay it on the floor in front of the wall you are using. Then take the next few pieces say they are pair just smaller lay them next to the large piece and space them out using the middle of the large piece and do not let them exceed either the horizontal or vertical dimension of the large piece to find their final location. Each time you lay down a piece and review if you like your arrangement be sure to take a photo of the layout recording it for hanging. Continue with the other pieces in the grouping placing them around the largest piece and relating them each piece you continue to place. This will create an interesting dialogue of your art and show you where it will fit best on your wall. If you have furniture on that wall it will also guide you with the starting heights. Many homeowners hang their art too high so keep in mind 60” above the floor onto the wall is the common site line dimension we use in the industry. Using these 3 valuable tips for arranging artwork on your walls can make it a fun activity! However, if you need our help to solidify a special arrangement for your artwork call and make an appointment with us, Worthington Interior Design 617-633-3005, we’d love to hang with you! As Interior Designers we are always looking for versatile appliance products to offer our clients, solving a whole host of space and design dilemmas. Hopefully you’re getting excited about the spring weather coming soon! So after some thought and some recent projects, the topic of versatile appliance products seemed to resonate as entertaining, doing less house work and having more fun outside is the order of the day! 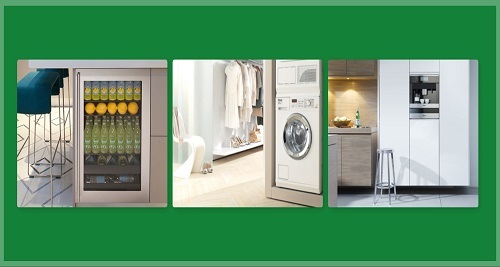 The first versatile appliance product for many our clients to consider is under-counter washers and dryers from Miele. You may need to gain more space near the back door or mudroom or even laundry on the 2nd floor all while having your space still looking fresh and modern. I bet you have seen these units in European homes. They actually install them in their kitchens! Solving clients design dilemmas with laundry rooms and basements; these versatile appliance products check every box especially when it comes to our beloved mudrooms in New England! Take a look at these quiet and efficient washers and dryers for any of your space saving needs. Our 2nd versatile appliance product is fromUline and Marvel. Try the dual under-counter wine and beverage refrigerators. The Uline 3000 makes a wonderfully designed product that can alleviate the headaches of storing drinks and taking up precious space and real estate in your main refrigerator. The Marvel line has a back light color and they each have some nifty options. You can even spread them apart in your kitchen if they work better with your room layout. Having these appliance products means your kids can get to their juice or other drinks by themselves at their level. You can lock a side if you want to store alcoholic beverages. You can otherwise stock these fridges with all the mixers, lemons and limes for your adult beverages; keeping them all in one place. You will be amazed how much space you regain in your main refrigerator and how a simple appliance product for your home can make your life easier! And third and last versatile appliance for your home is a built-in coffee system. Miele makes a wonderful system that can be built-in to your cabinetry which immediately helps to keep your kitchen counters clutter free. It pays for itself within a year and you can have gourmet coffee right in your own home without taking up counter-top real estate. Have a party and it’s easy to offer coffee at the end of a meal without having to count people before you make a pot. Miele’s ease of use coffee system makes a cup of java well worth having it at home! Give us a call at Worthington Interior Design and let’s make your house a home 617-633-3005! Happy St. Patrick’s Day and spring is on its way! Pay attention to your existing type of lighting as well as how the light comes in your windows or if you have no windows in those rooms. Regarding the lighting– do you have a solo center fixture, lamps, sconces or recessed fixtures? All of these types of lighting affect the colors you choose. If you have lots of window light know that a strong color will lighten on the wall at the height of the day and as the day is done it will become more intense. So if you are trying to achieve a cozy room a dark tone color may work for your space. And lastly study the floor treatments and ceilings in each room or space. Wood floors light or dark can have an effect on your color palate. Stone or tile also will also affect the interior colors you choose because natural or man-made tile happen to react to colors because of their inconsistency especially in a natural product and the man-made product is often trying to emulate the natural product. Both can be difficult to match colors against especially if you want a neutral color palate. What are the current ceilings treatment(s) you are working with to choose a color palate for the walls? Do you have ceiling a swirled finish, a drywall finish, beams across the ceiling to name a few or do you have an architectural feature like a coffer or cathedral ceiling? When working with existing conditions, providing you are not embarking on a full renovation, still need to play a role when you select new colors for your home. So live with samples of your selections so you can see them during different times of the day. And if you want to achieve a simpatico relationship from room to room when it comes to color consider these 3 tips for selecting interior colors for your home. 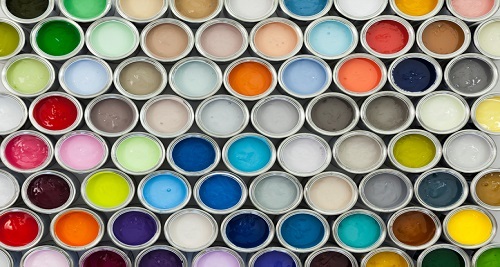 You may always give us a call at Worthington Interior Design for a color consult to help! Happy Valentine’s Day and may your month be filled with lots of reds and pinks! The 1st Saturday in May brings us the Kentucky Derby, the most exciting 3 minutes in sports and here are 3 exciting old flooring options for your Kitchen, Mudroom and Laundry. May in Kentucky is a beautiful time of year. The many horse farms have bluegrass brimming and mint juleps in play as the 143rd Run for the Roses takes place. Remembering a walk of the 1995 Derby winner Thunder Gulch’s stable and farm reminds me of the new meeting and viewing pavilion under construction at the time. The horse trailers would back up to a level ‘soft ‘ brick pavers walkway that lined the way to the stud pavilion. This is the place on this particular famous horse farm breeds their horses complete with padded walls and viewing gallery. It is a very sophisticated flooring material that needs minimum maintenance and is exceptionally attractive. It has longevity and is a flexible flooring material that has a temperature free nature. It is an ideal flooring material for homes that are inclined to a healthy environment as it is convenient to clean and helps to maintain a hygienic atmosphere. It provides a comfortable feeling under the foot and is very safe and secure. Terrazzo is another oldie but goodie ancient material. Terrazzo was created by Venetian construction workers as a low cost flooring material to surface the patios around their living quarters. Originally consisting of scrap marble chips set in clay and sealed with goat milk, production of terrazzo became much easier after the introduction of electric industrial grinders and other power equipment in the 1920s. As with any of these materials there are Pros and Cons, so before you proceed with any of these flooring options it’s good to do more research and consult with your Interior Designer to make sure these options would work for your home. Hope you pick the Derby winner, see you in June! Metallic finishes, retro dressers, and all-white color schemes are bedroom trends have a powerful impact but these design trends could sabotage your sleep. We’ve put together a list of the top trends getting in the way of the restful shut-eye you need to be at your best. While we are all for multi-functional kitchens, living rooms, and dens, when it comes to the bedroom, this is one of the design trends you should avoid. Your body, the brain, in particular, responds to outside stimuli in interesting ways. Let’s say you create an office space in your bedroom. While it might be the best use of space, it could lead to sleepless nights because your brain may still focus on work because that’s what it’s used to doing in that space. If you have extra space in the bedroom, use it to create an area that contributes to a good night’s rest. A comfortable chair for reading, a yoga mat in the corner for a few bedtime stretches to relax the mind and body, or an en suite bathroom where you can take a warm bath can all contribute to a bedtime routine that prepares you for better sleep. Bright colors send your brain the “awake” signal and can keep you up at night. It’s not surprising to learn that colors associated with relaxation like subdued blues and greens often contribute to better and longer sleep. Be judicious with reds and other intense colors they can keep you awake. The eyes are sensitive organs that send constant signals to the brain. If blue and greens just don’t work for you, cool, neutral colors that cause the heart rate to drop and don’t over stimulate the brain can have a similar calming effect. Think beige and cool greys for the ultimate in neutral relaxers For those who just want a touch of color, light yellow with its cozy, happy feel can also work well in a bedroom. The minimalist design trends puts mattresses just above the floor, but without the right support beneath it, a mattress can sag and cause back pain. Even if the pain isn’t enough to fully wake you, aches and stiffness from an unsupportive mattress can keep you from entering the deep sleep you need for complete rejuvenation. Box springs or other foundations are a great way to prolong the life of your mattress and give your back a break. If you still want that low, minimalist look, try a low profile box spring with a shallow depth of four inches. That keeps you close to the ground but offers the support you need. If your bedroom doesn’t have a fan, you might want to consider one. A light may look sleek and modern, but ceiling fans can help you control the room temperature. 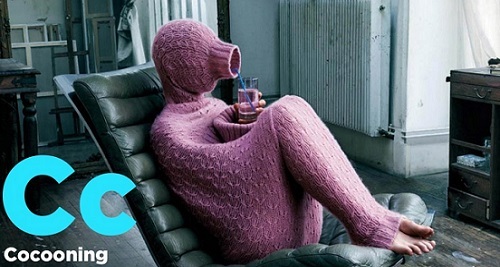 Keeping the room at a cool 60-68 degrees helps your body stay at a lower temperature, which contributes to better sleep. Remember to run your fan in reverse or counterclockwise to ventilate the heat that rises and run your fan clockwise in spring and summer weather. Ceiling fans also create white noise to relax the mind and reduce distracting outside noises. If you’re picturing your grandma’s old brass accented fan, take a look at the latest fans on the market. There are now designs that range from minimalist to contemporary and modern that give you the benefits of a fan without the eyesore you may remember from when you were a kid. Get your Z’s and see you next month. Happy New Year! 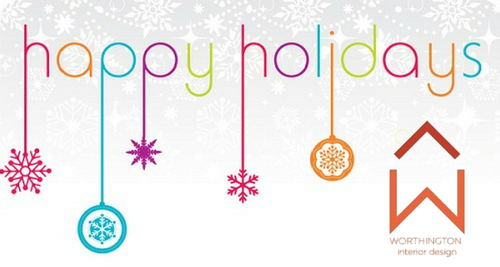 Happy Holidays from Worthington Interior Design! Happy Holidays! Thank you all for participating in our Gratitude and Giving Back last month. 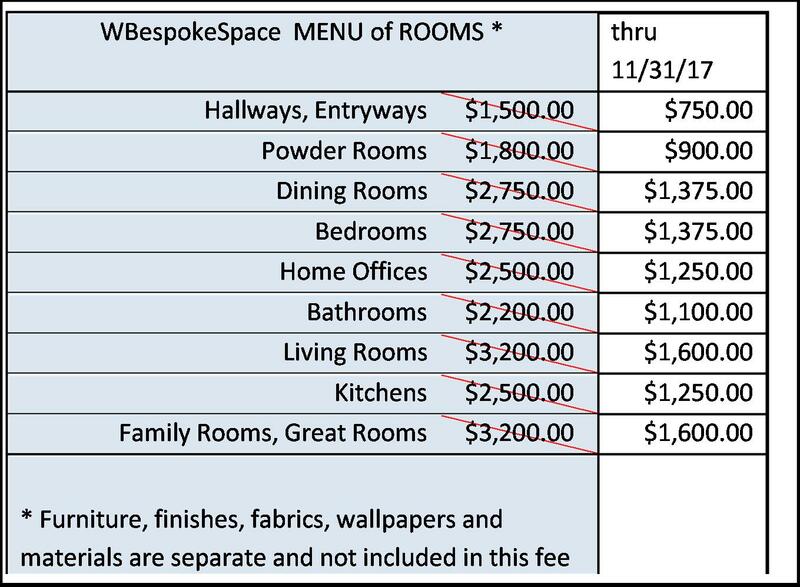 This past November was a record sign- up with our WBespokeSpace Room Design offer!! Thought we would keep this month short and sweet…. Worthington Interior Design sends everyone our Best Wishes for a Wonderful Holiday Season with Family and Friends! We look forward to working with you in 2018 bringing our design talent to more of you, helping you to make your house a home. For our Gratitude and Giving Back with WBespokeSpace this November we’re rolling out Room selection design with WBespokeSpace Room Design. 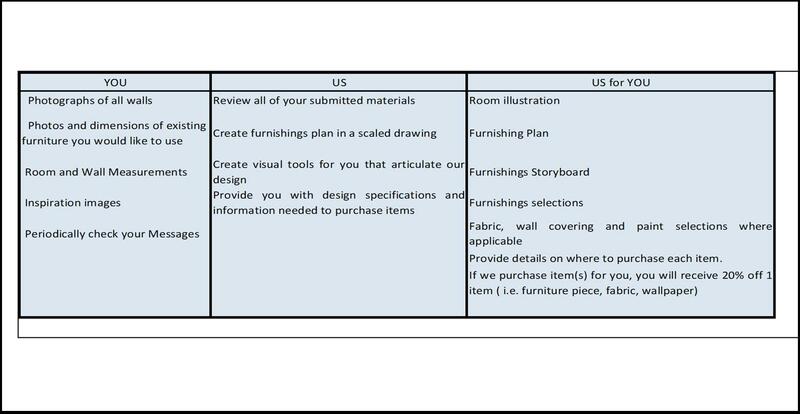 You share some of the tasks working together on the room of your choice (see below) offered with a half-priced design fee. November truly marks a time in everyone’s life to embrace both gratitude and giving back as the holiday of Thanksgiving approaches. Reflecting on both of these topics we can do many things to give back: contribute to a charity, volunteer time and donate to name a few. We all know practicing gratefulness daily is a good habit, but sometimes it can escape us for various reasons. How does this relate to the field of Interior Design you may ask? Well, Worthington’s design philosophy is to listen to your wishes, needs and wants to formulate a workable design solution executing in a timely fashion within budget for maximum results. Essentially creating a beautiful and functional home environment aligning with your lifestyle is our way of giving back. Each time Worthington Interior Design, begins a new project we are always grateful and happy to bring timeless design solutions to our clients. Moreover, customer service and good communication are paramount for successful design projects. Whether working on commercial projects or hospitality (i.e. restaurant) projects the design experience should be enjoyable for all clients. In summary, this is how the GGB program 2017 will work: Please email us with your Room selection before November 30, 2017. Let us know a good time to reach you and your phone number. 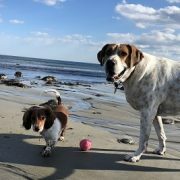 We serve all the Northshore of Massachusetts, Portsmouth & Rye areas of NH, Kittery & York, Maine and the surrounding areas. We shall contact you to review your request and forward our WBespokeSpace Questionnaire. and looking forward to working with you. Wishing everyone a safe and Happy Thanksgiving. So as we watch weekend football and enjoy libations and snacks I thought you might like to see some really cool coffee tables to update your own ‘end zone’! Okay just as we think we’re going to spend more time inside Mother Nature keeps gracing us with summertime weather. 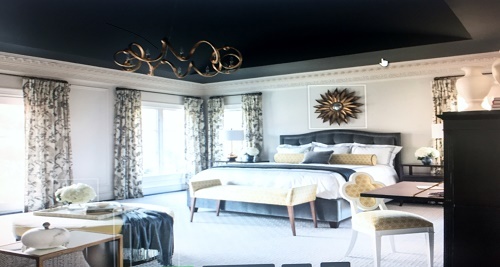 Worthington Interior Design has been busy cultivating new furniture selections for our clients. Our first really cool coffee table to update your end zone is from OKA. The Trifoglio coffee table is 38” square made of wood with a rustic lace design known as trefoil, a classic architectural design that can make your space either casual or formal. The size is really great because it’s slightly bigger than 3’ and not too large to gather around with drinks and game day refreshments. Finding a coffee table that adds a cool factor yet is functional and wont date itself can be challenging but we at Worthington Interior Design have many, many sources to find you the best piece at a great price! Sometimes you need a square, sometimes you need a rectangle and sometimes you need round style coffee tables. Now we are seeing many with tufted fabric tops more like an ottoman but you know placing a drink on a tray on these style pieces can be challenging, so we will work with you to find the best investment coffee table. Our third winner is from Room and Board. We love the Gibson a mid-century style cocktail table measuring approx.. 53” x 36”. “Durable solid wood is transformed into the light, fluid profile of our Gibson cocktail table through the skill of West Virginia woodworkers. Softly beveled edges, turned legs and unique contours contribute to this table’s mid-century elegance.” Many of us have combined our living room or family room spaces and this table offers the table surface without the heavy look of furniture. Perhaps you have a view from your family room or living room and this table anchors the room without weighing it down. I love mid-century style pieces mixed withBohème or Traditional style furniturefor an eclectic look. It is both elegant and functional. Designing your own space with some unusual materials makes everything really warm and cozy. You really can make any aspect of your home your very own ‘end zone.’ We would love to work with you on any project you have small or large. Making your house your home is what we do best. Enjoy Mother Nature’s gift a while longer and check out these 3 really cool coffee tables to update your end zone from OKA or Room and Board. Give us a call at Worthington Interior Design to discuss your design project. 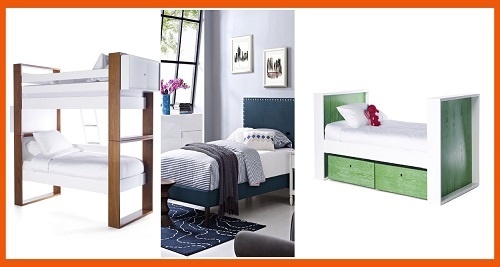 You must have a look at these 3 stylish beds for kids to hit the hay after hitting the books! This time of year everyone can use a little refresh in their kid’s bedrooms. These stylish beds for kids will endure for a while since each bed style we have chosen has a timeless design. With all the websites offering children’s furniture; it’s Worthington Interior Design’s keen eye for design sourcing these treasures for your home. While the the bunk style is chic it’s also convertible. Many shy away from bunk beds because they can look cheap but our selection here is not. Our twin bed picks are colorful and refined which transcend into high school and beyond. Modway’s Phoebe has a sophisticated look complete with nail heads and tapered legs. Like we mentioned it can take your kids bedroom from middle school to becoming a senior’s hideaway! Your kids can choose from bright red, navy or even shocking yellow fabrics. I love the sensibility of design this bed offers. Once you decide on a style Worthington will help you with paint colors and bedding to complete your children’s look and declare their bedroom a cool place to hit the hay after hitting the books. After a great summer it’s sometimes hard to reel everyone into a routine of studying and going to bed early; so adding a new fresh look can help everyone to get back into the swing of things. Studying can go from a chore to a happy place in your children’s bedrooms when you hit the refresh button. Okay this brings us to saving the best for last with the Parker. I’ve presented it in this Kelly green color even though it comes in a few other colors, because it’s crisp and fun! Love the green wood stain and the styling is great. So there you have it, 3 stylish beds for kids to hit the hay after hitting the books! Enjoy autumn and the cooler temps and give us a call at Worthington Interior Design to help you refresh and make your home cooler too! 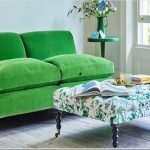 Try these 5 Best Sofas for Napping, Lounging and Reading! 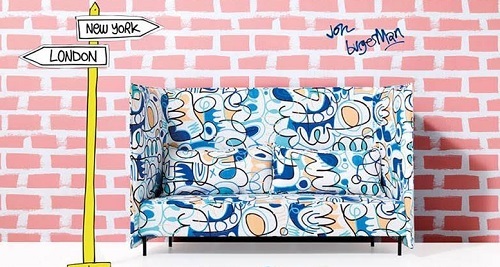 Summer is always a great time to catch a Nap so why not try one of these cool sofas. The first sofa is the Sandra Napper Chaise. The name says super comfy and try placing it in an open loft space, alcove or in front of a fireplace. It’s an all-around cool and chic sofa!Use a bright or neutral colored linen fabric and pair it with a light weight Brahms or Matouk coverlet. Reading in the Sandra Napper Chaise will soon have you dozing! Our second style sofa from Duralee is the Columbia collection in either a sectional with 2 chaises or a simple sofa. The low arm offers a comfortable angle for your pillow and head. Worthington would love to help you choose a standard fabric and voilà you have your very own cozy nest on a summer afternoon. Thirdly, we cannot forget to mention the many styles of the famed English furniture line, George Smith. Their soft seating collections are dreamy and last forever! It’s like the ole boxy 850 Volvo wagon that you hand down to your college age children. George Smith has classic style is timeless. From their Standard Collection we recommend the Classic Sofa or chaise. They have the stylish wheel foot and look fabulous in any fabric! Or venture out and use George Smith’s signature “Dog Kennel Chaise.” Once you have a George Smith piece you know true comfort! Our fourth recommendation for best sofas for napping, lounging and reading is the Frank sofa by Mattaliano. Contact us to have a lounge on this amazing sofa in the showroom. This sofa has wide and low arms where you can comfortably perch or lounge! In a rich colored leather or a durable fabric you cannot go wrong with this fabulous sofa! And lastly, we round out our fifth suggestion for best sofas for napping, lounging and reading from the ICON Group, Anees-Main Street Sofa. Just sitting on this sofa in the showroom you want to fall asleep! This is an investment piece you will love forever! Its depth and length accommodate all body types. The arm’s height and width are perfect! Our seasoned Interior Design experience has enabled us to guide our clients to invest in great furniture pieces that give years of flexibility and enjoyment. Make an appointment with Worthington Interior Design to order your next great investment piece. 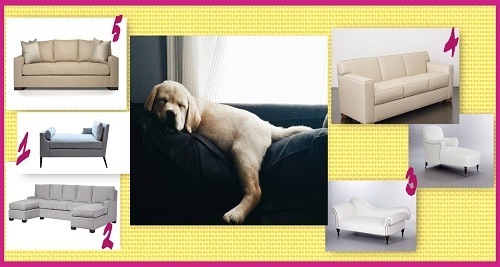 While away summertime with one of our 5 best sofas for Napping, Lounging and Reading! IF THESE WALLS COULD TALK, they’d say Wallpaper is back! If these walls could talk they’d say Wallpaper is back! Coming from Europe on the decorating scene in the past 2 years has been floral wallpapers and handmade “de Gournay” wallpapers panels. And you know there are some very pretty florals that look updated and fresh. SO before you wrinkle your nose let me give you a few places to look for fresh floral wallpapers and how to use them. Newburyport is known for its maritime look and feel but you can bring some eclectic wallpaper into your home, think of it as letting the garden come inside! Now if you have a finished 3rd floor or attic space that you have made into a guest room go all out like the English and use the wallpaper on the ceilings and walls. It’s okay! 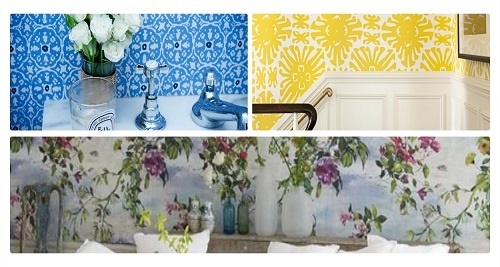 Take a look at English UK wallpapers- Colefax and Fowler or Designer’s Guild. Or just stay state-side and look at Schumacher wallpapers. You still don’t believe that wallpaper is back? Another idea a little more contemporary is to try oversized geometric wallpaper on 1 wall in your foyer, up one side of your stairway or even in your powder room. Many of the geometric wallpapers have pure color which enhances your furniture or bathroom vanity. If you use the wallpaper with a strong pattern in a controlled amount you will not get tired of it and you will find you can skip the artwork and highlight the space with the type and style of light fixture. Think about your Northshore, Newburyport home just a little bit differently and use wallpaper in a pure color against a white backdrop. You will see how much you will love the change and understand why wallpaper is back! Your room becomes a new space in your home. 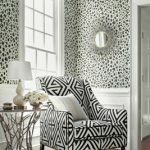 Want a great fresh color look at Thibaut wallpapers or step it up a notch with Quadrille’s vast collection of unique style wallpapers! Many of you are minimalists and would prefer no wallpapers; but I beg to differ on this with you because you may want to look at Phillip Jefferies absolutely Amazing collections of grass cloth wallpapers. They even have some with overlay geometrics, like the Greek key or oriental style design. Using one of PJ papers will warm the space and hanging paper on 1 wall can make a huge statement. Cowtan and Tout and Kenneth James have been experimenting with a marbleized or agate style wallpaper that I simply love for both traditional and contemporary spaces. The colors are warm grays, soft neutrals and even a neutral pink that can work with many shades of colors, like navy, charcoal, or rich browns. Have a Happy 4th of July and see you in August. When renovating your home here are 5 really good reasons to keep existing furniture and rethink your home’s interiors. 1. Because it’s old I should get rid of it. Well that couldn’t be further from the truth, even if it’s not an antique you can make the table or chair work in another room or for another purpose. Often times you have only thought of 1 way of thinking about how you have been using that piece; but we Interior Designers are trained to think outside the box for you! We keep you from making a costly mistakes buying miscellaneous or wrong pieces and instead help you keep existing furniture. You may already have something existing we can use. We will help redirect you to spend wisely with intended priorities. 2. It’s not my style now so I can’t use it. Your tastes change over time and you may have loved this chair or sofa and now you cannot see how to incorporate it into your new look. We at Worthington Interior Design are masters at getting you to fall back in love with these pieces you already own. New upholstery and perhaps refinishing can make these pieces look fabulous to work with your new style. For instance, a client had some wing chairs and said“they’re old and I want to get rid of them,” but we found the perfect fabric and they were magically transformed! 3. The color doesn’t work. The color of your piece is the least of its problems. We have so many sources for fabrics and finishes that a new color fabric and trim, paint or stain and wecan reinvent easily. Often clients tell me these lamps I have are ugly and I need new. Well in fact this happened with a client while we were designing the interiors for her vacation home. So we took all her lamps and sourced new lampshades and brought them all back to her and she said, ‘those are not my lamps’, but in fact they were her lamps and we just tweaked them and they were like new! 4. My piece is an heirloom and comfortable buy I cannot see it working with my new renovation. These are in fact 2 very good reasons to keep the piece! Again we can simply repair the sofa or chair, make the cushions like new andreupholster. Everything will be singing the same song in your new home. Many soft pieces like sofas and chairs need to have the springs retied and the wood connectionsre-glued but you must know that the older the piece the better it’s been made. 5. I have this piece of furniture and I like it but I’m not sure how to use it. Creating a new purpose for one of your existing pieces of furniture is part of what we do at Worthington Interior Design. We take great pride when we can help you keep existing furniture by reintroducing you to your pieces and possession. Be it a lamp or a side table or a large armoire. A Boston client purchased an Armoire for their home in Beacon Hill and shestored linens and towels.They moved to Back Bay andit became a European way to store her dishes. Then it made its way to another home and we repurposed for the flat screen TV.And now she decided to make it the bar! Spring is all about renewing. If you’re in a quandary about how to incorporate your existing furniture set up an appointment with Worthington Interior Design and we’d welcome the opportunity to work with you. 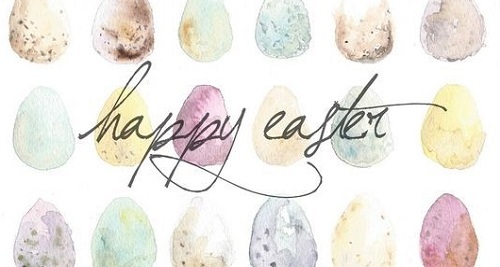 Happy Easter and see you in May. Green is the color of the year, it signifies Spring is near, it means asparagus is peaking and English peas are ready! We all identify Green with the month of March for obvious reasons; so let WorthingtonInterior Design add some green to your home interiors! So how does one begin to include the correct shade of green into their existing home you ask? Take inventory of your artwork, dishes, lamps and patterned upholstery pieces to see if you have any shades of green, green-blues, or greenie-yellows among them. Then decide if you like this shade of green, if so let’s begin. 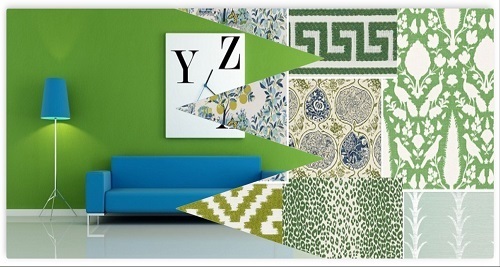 Now green accessories are an easy and affordable way to bring the new fresh color into your home. I like to start with actual plants and flowers as they always brighten up your home after a long winter and add some green to your home interiors. Jewel toned green linen or velvet fabrics are lush. Schumacher always offers us many options to blend green into our color palates. Green seems to be easy to live with because it falls between yellow and blue and where many people may not like blue or yellow they will find green is easy on the eyes. Throughout my design career many of my male clients are drawn to greens and oranges especially and then to the blues. Not sure why that is but in presenting color palettes and finishes this has been my experience. Also even though I love blue I feel greens endure and one doesn’t get tired of the color as quickly. Green also means environmentally friendly and doing our part to save the planet for our children! Every little bit of being green in our life helps everyone. We would love to help you to bring some fresh spring colors into your home now that the weather is changing and the sun is getting warmer. Wallpaper is so cool now, Schumacher is doing it right this Spring, check out their patterns with green and add some green to your home interiors. So how to be the envy of your friends this spring, call Worthington Interior Design so we can get you started on finding the chic and hip greens to mark the beginning of Spring! Now I read in the New York Times we are obsessed with Hygge! My home has always been an important part of my life and little did I know that the Danish are all about cozy comfort! So I thought I’d give you a few ideas to help you nestle your way through February. This time of year candles can bring you soft warm scents and change the light in your home. Buy a new throw for watching The Crown or the Superbowl. Go Patriots! How about digging up a family recipe to bake so your home fills with wonderful smells of cinnamon, vanilla or lemon goodies. Try baking bread from scratch, instant Hygge! All throughout January I’ve been baking bread and it warms the kitchen. What’s better than a good pot of tea and a sweet at this time of the year. The English break at 4pm daily for their tea and crumpets. Thought about moving around your furniture? If you have a fireplace, gather your seats closer to snuggle up close. Add a pouf or small ottoman to gather friends around. Change your lamp light bulbs to the low setting at dusk. Any lights that are in the glow position if you will give you an instant sense of warmth and intimacy. Hygge is of Danish origin and given the weather in this part of the world, if the Danes don’t know what makes your home and life no one does. Taking your children ice-skating and bringing along a blanket and a thermos of hot cocoa is another way to bring about Hygge! Now for the grown-ups try a wonderful cordial of Bailey’s Irish Cream and coffee or a great Kentucky Bourbon and chocolate cream cordial chased with coffee and voilà. 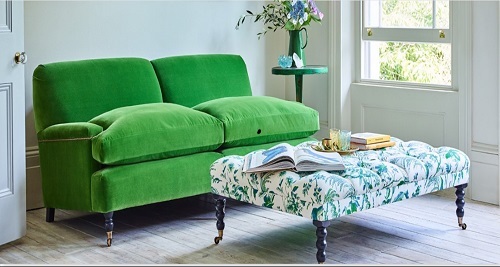 Beautiful Johnston’s Elgin from Scotland home products are just beauty in laying over a sofa or lounge chair. or as the Danish say…. As the snowflakes continue to fall in February we have a “sweetheart of a deal” for your home! Yes February has Valentine’s Day and we can have fresh flowers and candy to enjoy but what about enjoying a new fabric on one of your comfy chairs? Or new pillows? Now that the ones you have were ruined as you were twisting them into pretzels watching the Patriots fight their way back to win the Super Bowl for a 5th time! We offer many fabric lines: Les Indiennes, Thibaut, Cowtan & Tout, Anna French, Kravet, Brunschwig & Fils, Colefax & Fowler, Pindler & Pindler, Fabricut, Duralee, Robert Allen and many others! Worthington Interior Design will help you select the fabric so we can help you have the pillows made, window treatments or the upholstery completed. Here’s where the “sweetheart of a deal” comes in- you purchase 2 or more yards of fabric from us and get 1 yard of your selected fabric at 50% of the regular per yard price (plus tax and freight). And 10% off our Design Meeting fee. At your convenience we will schedule a Design Meeting at your home to meet and discuss what fabrics and what type of work you want to get completed. 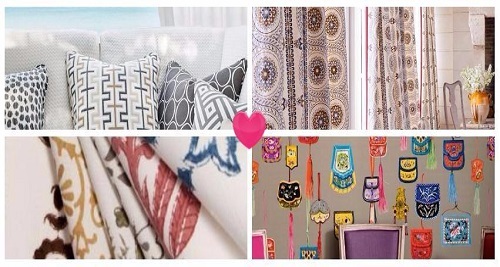 Many of our unique fabrics are sure to brighten up your homes. You may have a dining room chair seat or a whole set of chairs and their seats to be reupholstered. It’s like getting 1 yard on a chair for 1/2 off. Once we decide on your pillow style, furniture piece(s) you want reupholstered or windows needing roman shades or drapery we’ll write up work orders for the materials, any pillow inserts, trim, and labor, details for workroom, trim, tax, and freight and get the ball rolling. This “sweetheart of a deal” will be valid until March 7, 2017. The fabric will need to be ordered and paid for prior to March 7, 2017 to receive this offer. Worthington usually orders a CFA (cutting for approval) so we are 100% sure the fabric you selected is the correct dye-lot. We will go over the next steps at our first Design Meeting. Remember our Design fee for our first meeting will be less 10% to sweeten the deal. November truly marks a time in everyone’s life to embrace both gratitude and giving back as the holiday of Thanksgiving approaches. Reflecting on both of these topics we can do many things to give back: contribute to a charity, volunteer time, donate or just do good. We all know to practice gratefulness daily is a good habit, but sometimes it can escape us for various reasons. How does this relate to the field of Interior Design you may ask yourself? Well my design philosophy is to listen to your needs and wants, formulate a workable design solution and execute in a timely fashion within budget for maximum results. Making your home environment the best it can be is my way of showing gratitude and giving back, so your home can be your safe sanctuary for your children and your partner! Each time a new project begins at Worthington Interior Design, we are grateful and happy to work with clients that understand good design makes for easy living. Years of practice allow us to bring to you the best customer service and Interior design outcome for you. Even when we take on commercial projects or hospitality (i.e. restaurant) we are students of design making the client/customer experience memorable and inviting. This is how our GGB gratitude and giving back program will work: Please email us with your request, a good time to reach you and your phone number. We request that you reside on either the Northshore of Massachusetts, Portsmouth or Rye NH or Kittery, Maine areas. We will contact you to review your request and set up a convenient meeting time in order to complete the task. 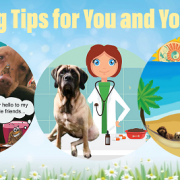 Now as you know many of your requests may lead to other areas of your home or business so in order to give everyone an opportunity to be served we’ll need to limit ourselves to 1 hour. However, if you find we have chemistry and would like to continue to working with Worthington Interior Design we can discuss next steps. Our GGB program will be in effect until December 31, 2016. Thank you and we look forward to meeting you. We wish everyone a Happy Thanksgiving. Well after a long hiatus, grab the brass and gold as these finishes are back on the merry-go-round of residential interiors. Brass detailing on furniture, other types of brass hardware are making a strong sparkling comeback. Now many of you may think brass or gold was never out of fashion. But looking back just about a dozen or so years, polished and satin chrome probably made their first entrée into our homes with the beginning of stainless appliances. Stainless refrigerators and dishwashers made way for more silver and chrome finishes than gold on all types of residential interior appointments. Light fixtures, or even bathroom fittings in brass or gold give chandeliers, lamps, sconces, and kitchen or bathroom hardware a more updated and modern look to your home instantly. I love the silver and chrome finishes in many settings, but now I love using lots of brass and gold. It’s the renewing of our love of antiques and a whole new sense of comfort as brass and gold come out and is dusted off. It’s funny just as we start to think about our seasons changing from summer to fall and winter- cozy sweaters, meals and football, brass and gold can remind us of our mothers and grandmothers homes. But today we can embrace nostalgia yet create our own sense of style with its comeback. Brass candlesticks are a great way to celebrate their rejuvenation into our home’s interior. 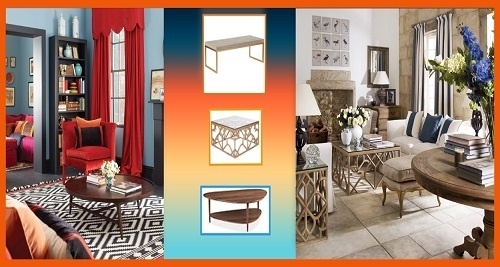 New side tables, bookshelves and coffee tables are all offering brass or gold base finishes! Accessorizing your home with these items can be fun and certainly makes you feel good about repurposing and recycling things you already may own. Worthington Interior Design loves to work with clients making your home all about you. We make your vision come to life. So if you think you may have an old brass piece or two hanging around and you want to know how to use it among your home interiors, we at Worthington Interior Design would love to help you. Since Worthington’s is going into our 2nd autumn and winter here on the Northshore we look forward to hearing from you 978-255-3001 or 617-633-3005. Let’s bring in a new fresh look to your home for the season. While we enjoy the best days of summer in New England dipping our toes in the warm Atlantic ocean and still playing outside until dark. Kids have the time of their lives during the summer and I’m sure they are growing like weeds! WOW factor! Making prepping for school fun and fresh! rooms as you. Or perhaps a new born is on the way! Simple painted graphics of mountain ranges, water, or geometric shapes make a plain wall hip! “Spaghetti Yeti” to name a few! homes; it gives us a new outlook and we can sweep out the old, bring in the new. New baby coming we have a fabulous made in the USA source for cribs, youth furniture and bunkbeds. They offer other furniture items for your children. Even cool wallpapers. rooms with new storage and a new design to create an inviting homework space. Just a simple update will make coming inside more fun and new! Using the black and white in a small space can really be cool forever, you won’t get tired of this design scheme and it can look fresh season to season. You can add a hint of red- raspberry, coral-orange, easy- on- the eye greens or turquoise to change up your space. 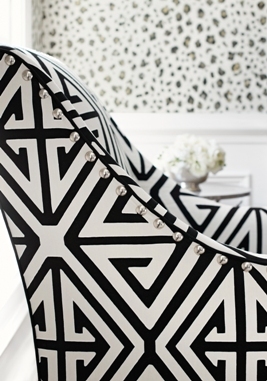 Try a stripe of black and white on the walls but install it horizontally! 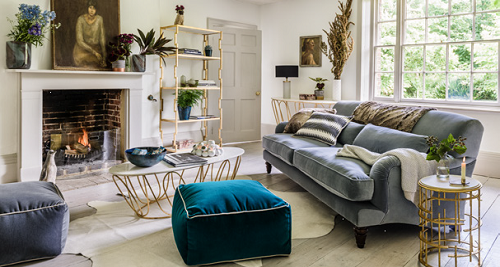 Trimmed pillows or bolsters look great on a long sofa or a short settee. Upholster in black linen or velvet to give a more formal look to your living room. 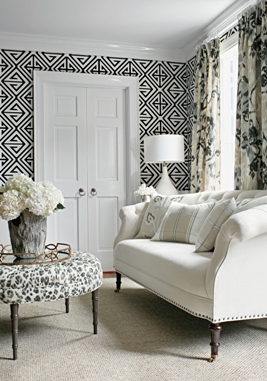 Interior Design to show you Thibaut Wallpaper, Fabrics & Furniture, Bridgehampton Collection of fabrics and wallpapers! We’re even getting in on the fun with using Demetrius in our foyer. Keep wood furniture or metals accessories in their same family because black and white can be intense and heavyhanded so what surrounds them should be consistent and subtle. Black and white comes with its own set of rules; the main rule being ‘scale.’ If you select a small scale and it appears too wimpy you lose the effect, too large and you look like the circus has come to town! One of Worthington Interior Designs forte’s; scale and balance. We work in all size spaces and residences and we would love to work with you on your powder room, foyer or breakfast room. 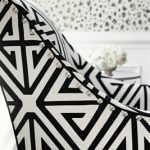 So say you’d like to give black and white cool forever a chance in your home and you want to add a splash of grenadine red; give Worthington a call so we can show you where it may be best to start in your home. 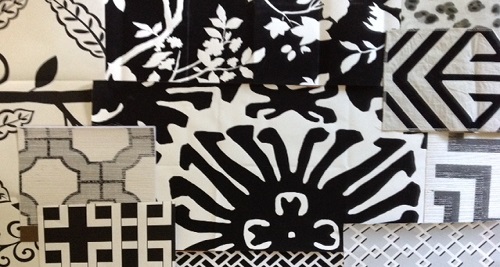 With all the new outdoor furnishings you can pull black and white together with layering even outside. The chaises all can be ordered with black and white cushions. You can carry the look to the table also. Try some black and white bowls or plates with touches of a red salsa color and jazz up the outdoor barbeque! This is one of many ‘cool forever’ color schemes we can create to work with your current interiors. Giving your room a face-lift just before summer kicks in is like getting a new haircut. It’s fresh, crisp and simple. Call Worthington Interior Design to get your ‘cool forever’ 978-255-3001. Interior Designers are really the Interior Architects for the inside of your home or office space. And this is why Interior Designers and Decorators are uniquely separate professions. Both possess many of the same professional responsibilities: principles of good design, theory of color(s), fabrics and furniture and accessory selections, purchasing and installing the products you select. If you are doing either a renovation or a remodel you would better suited working with a Designer/Interior Architect as they produce architectural working construction documents that can be stamped and sealed. These documents may include a space plan (demarcating egress and code compliance for doorways and clearances in kitchens and bathrooms for example), electrical & plumbing and reflected ceiling plans, millwork or special cabinetry detail plans, particular elevations. Designers assure your finish selections will arrive on time and be available for the contractor when he/she is ready to install. Designers assist you in vetting any consultants along with reviewing and comparing project bids. During actual construction, we can perform Construction Administration, review pay requests and change orders or RFIs (request for more information) from General Contractors. Designers and Decorators are learned of the nuances and aesthetics of design principals; Decorators are better suited for strictly décor related projects. In essence, Designers are the interior architects even if we’re working with architects. As a homeowner making this distinction makes you a savvy client in assembling a comprehensive and knowledgeable team making for a successful design experience. 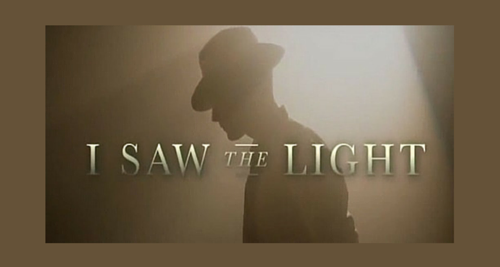 New Hollywood film,”I saw the the Light”, song by Hank Williams Sr. Always without a doubt it’s the lighting. Exterior or interior lighting whether it’s for way-finding, safety or to beautify and enhance; it needs to be well thought out to align with your home’s architecture. The interiors of each home may call for many types of light sources for effect, mood, tasks, etc. Good lighting is like good music… it brings comfort and enjoyment to whatever you’re doing. Combining music and lighting allows me the opportunity to brag about my brother, Marc. His forthcoming Hollywood film releases March 25 and will debut in our area on April 1. Starring Tom Hiddleston and Elizabeth Olsen, “I Saw the Light” is a biopic film about the great Hank Williams Sr. Our family is so very proud of this film for many obvious reasons but also because the music makes us all feel good! It seems Hank Williams Sr. has influenced so many of our great musicians like Bob Dylan, The Beatles, Beck, Johnny Cash , Keith Richards and Bruce Springsteen to name a few! The making of this film speaks to why Hank Williams music is so unforgettable and continues to influence great bands as well as new up and coming artists. Marc says this was a complicated project recreating the layers of Hank’s life which culminated into his memorable music. The film is truly enjoyable! As with designing your home there are also many layers: space plan, furniture arrangement, floor and wall treatments, paints, etc. All of these components lead us to lighting. High-quality lighting will enhance and give you either the calmness or the drama each space in your home deserves. There are so many great options for light fixtures not to mention the advancement of the LED. So when you’re thinking about your next design project, kindly call us. And no foolin’ see you at the movies on April 1st! Here we are near the end of February 2016 and we can see fewer weeks left demarcating winter. As you continue to nest by the fire and enjoy hearty meals, the glimmers of springtime are in the offing. So this brings me to a fabric design of the past, Gingham. It is a design pattern that really never goes out of style and in fact it’s ageless. Depending on the scale, large or small it plays nicely among stripes, paisleys, florals and even textured fabrics and wallpapers. Revitalize a side chair and cover it in a brightly colored gingham and it immediately makes your space feel fresh and crisp. Dare to mix colors and you can bring a bit of whimsy to your rooms. Large oversize scaled gingham can give you an instant ‘sophisticated contemporary feel’ either upholstering traditional dining or breakfast room chairs. Thibaut Fine Furniture, Fabrics and Wallpapers sells it in fun colors. Need new pillows try gingham on one side and print on the other side and you can switch up your look by flipping the pillows. Want timeless drapery or tailored style roman shades …use it as trim to finish your look. For your child’s room use coverlets on the beds or an area rug with a gingham print…it all works. Patterned tablecloths or dishes make for a lovely background for a Sunday brunch, especially with Stonewall Kitchen’s blueberry sour cream scones! And when springtime does arrive simply move the party outside on the deck or patio and upholster your outdoor furniture with sun resistant mixes of gingham and stripe fabrics. Because the age-old Gingham pattern is so versatile, it’s a simple way to add home style as March 20th rolls around…the 1st day of spring! Contact Worthington Interior Design to discuss these and other great design ideas.